Charles Boyles took photos of many Wartime Services teams of which little is known today. Boyles was rarely sentimental and took photos for profit rather than general interest. Boyles took photos he knew people would buy. This article attempts to shed some light into this now forgotten competition. Melbourne’s Victoria Barracks was the RAAF Headquarters in WW2 and the bases at Point Cook and Laverton in Melbourne’s west were two of the RAAF’s oldest and most established. Most RAAF pilots were trained there. Today the RAAF Museum is located at Point Cook. 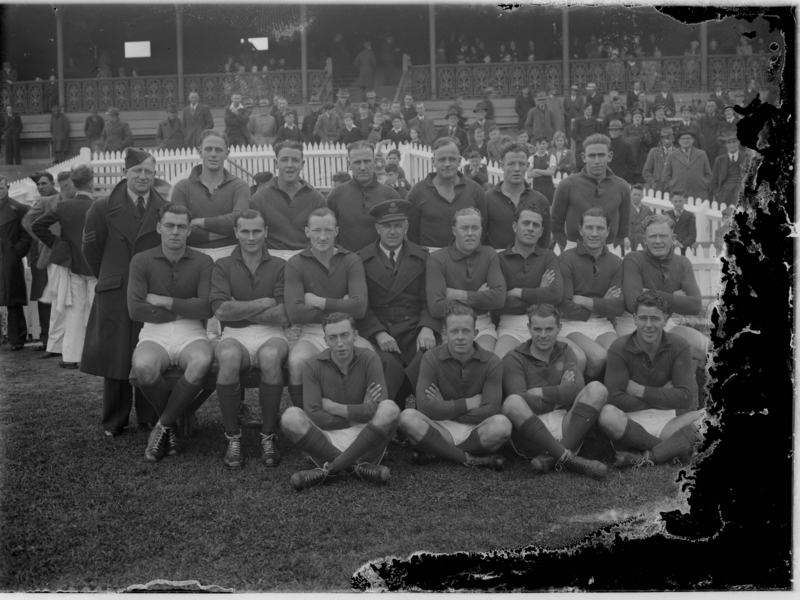 The high level of RAAF infrastructure and the fact that the RAAF was the most glamorous of the services meant that high profile footballers who joined the armed services often joined the RAAF as opposed to other services and ended up serving locally around Melbourne. Sport is always part of entertainment in the Armed Services. In World War Two, sport was played wherever there were soldiers. But the infrastructure in Melbourne meant that the competitions in Melbourne were regular and in football, involved many leading players. 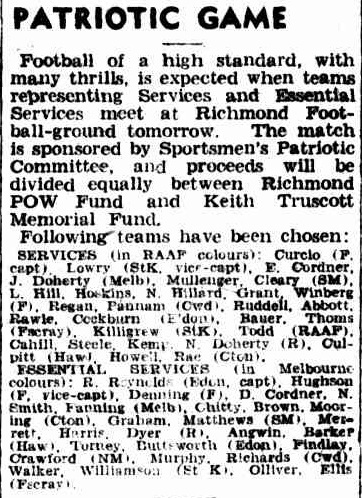 An inter-services competition was played on Sundays in Melbourne in 1942 had been a big success. The leading teams were arguably as strong or stronger than the leading VFL teams. 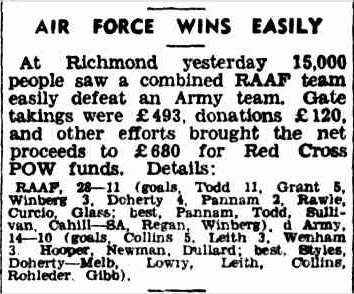 The inter-services competition was not repeated in 1943 which meant that the internal RAAF competition included more big name players than it had in 1942. 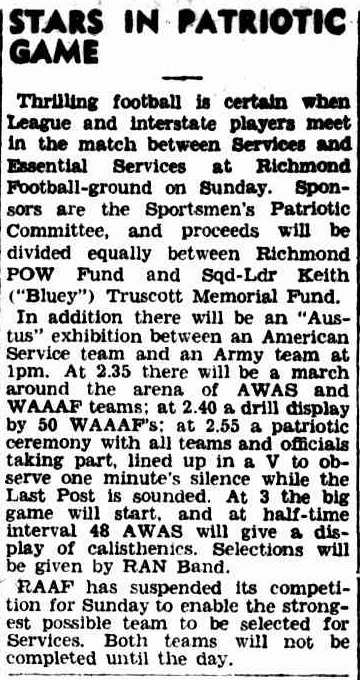 In 1942 the Football Record had supported the inter-services competition and regularly included team lists and news, but the 1943 completion hardly raised a mention. 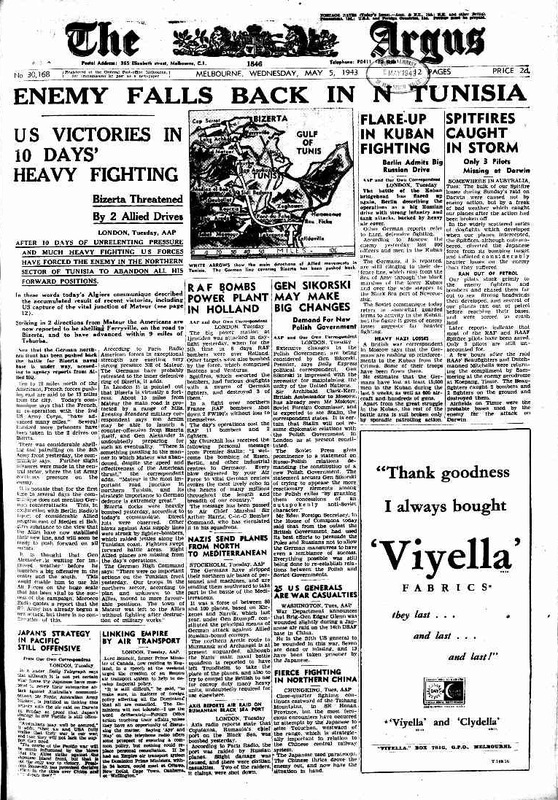 The Argus as well reduced its coverage of Services football in 1943. 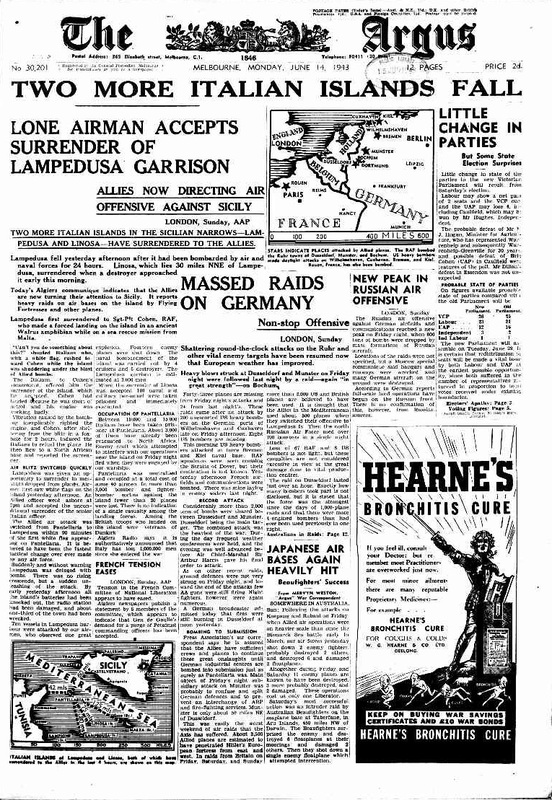 During 1943 the Argus reported services team’s results and continually devoted more column inches to the RAAF competition than it did to the Army competition. Overall the 1943 services reporting was lower than it had been for the 1942 season. Explaining the team acronyms required substantial digging. 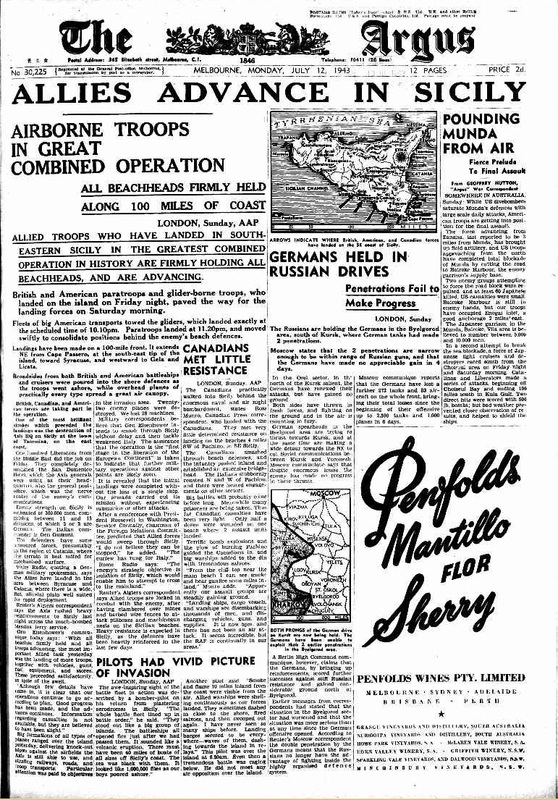 For example Communications Flight is just as often listed as 'Con Flt' as 'Com Flt' and only one article, in the Argus (26-Jun-1943), refers to them by their full name. 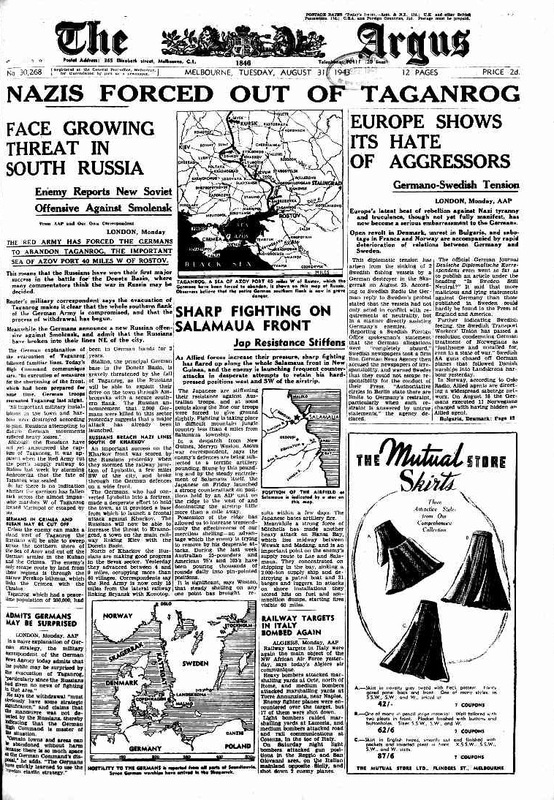 A 1942 Argus article refers to team by nickname (i.e. Fliers, Rookies, Stores, etc) and a comparison of the team lists for 1942 matches 'Engineers' with Ascotvale. A final note is that many team names start with 'No.1'. This is because the RAAF had many groups of the same type. 'No.1' sites were usually in Victoria. The school of Technical Training was based at melbourne's Exhibition Building in Carlton from 1941 to 1946. The Stores depot was located at Port Melbourne. The team jumpers have a 'SD" logo on the front. The players most regularly featured in the Argus as best players and goal kickers were Forrest, Humphries, Doxey, Pearce and Gunn. 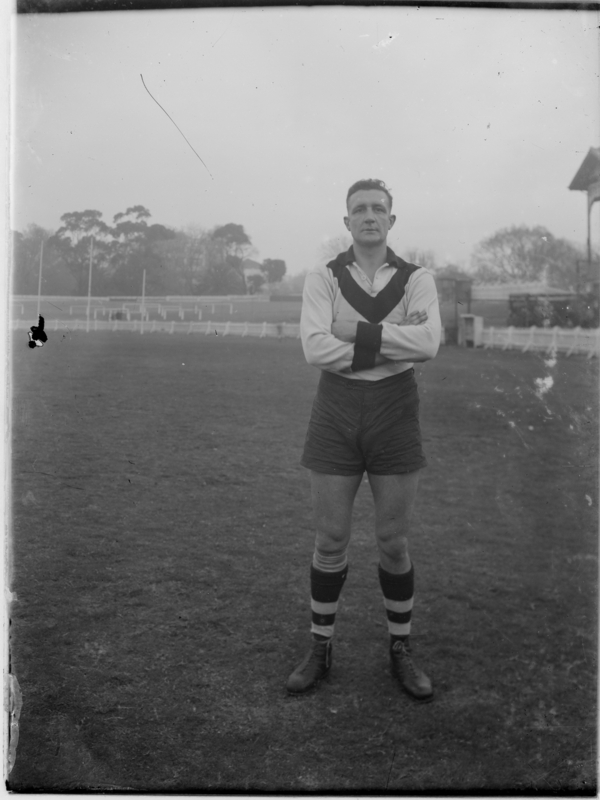 Ex-South Melbourne and Coburg star Bob Pratt had five mentions and kicked 12 goals following ion from his appearances for Stores Dept in 1942. The RAAF Initial Training School was based at the Somers School camp site from 194 and provided initial training for Air and Ground crews. 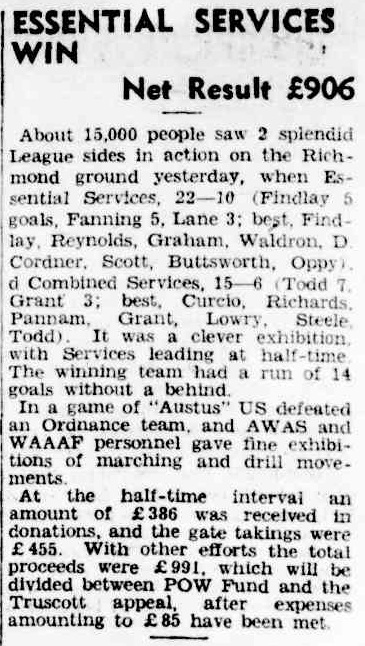 A regular newspaper mention for ITS was 'Abbot', This is possibly Essendon's Gordon Abbott who played in the combined services team. 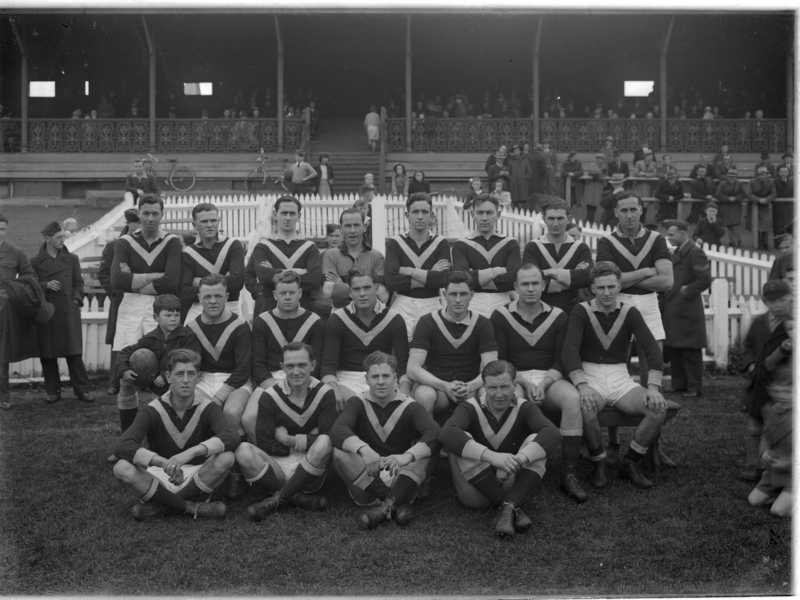 The National Sport Museum contains a photo by Charles Boyles of the 1942 ITS team (1986.1170.154) showing the team with a single colour mid range (not to light/dark) jumper with no insignia. 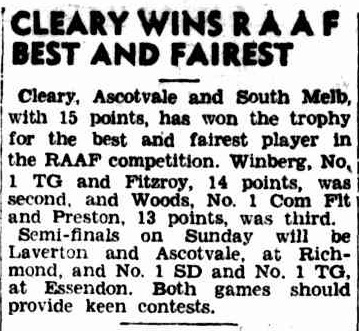 A 1941 article from the Frankston Standard shows that the Rookies were keen to play in an organised competition. These units typically performed a wide range of support roles such as transport and supporting training. 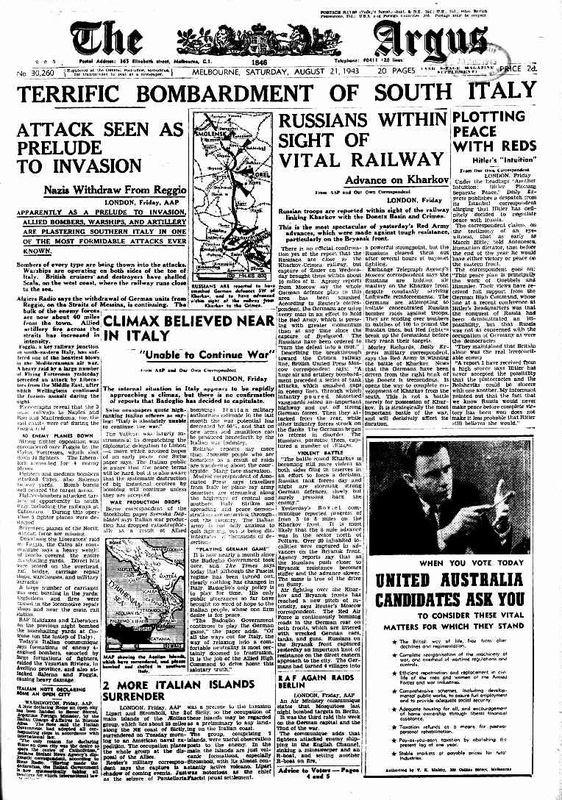 In 1944, No. 1 Communication Flight role became providing VIP transport. Woods, Barnett and Sanderson are the team members with the most newspaper mentions in the 1943 season. Woods (Preston) also came third in the season's best and fairest. Comm Flight received regular beatings, with 9 of 12 known match outcomes being losses by 80 points or more. Hopefully they were more effective at VIP transport. 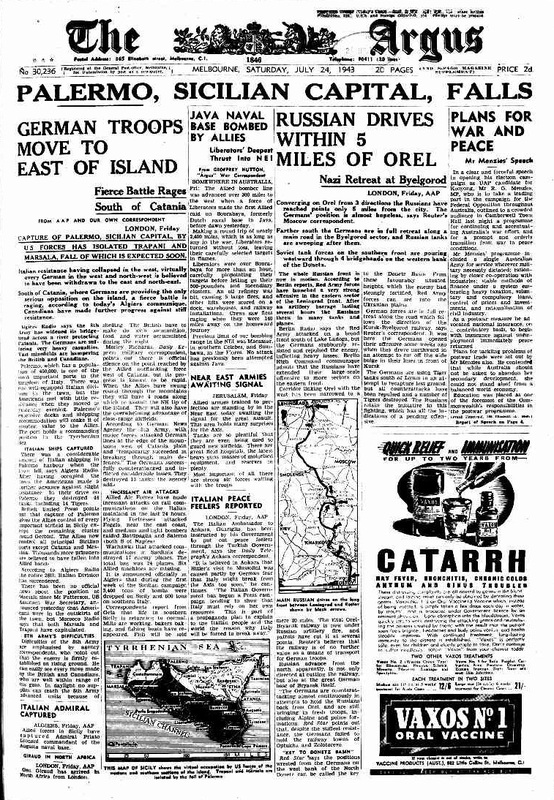 Argus 15-May-1943 p9 refers to the team as 'HQ No.1 TG'. 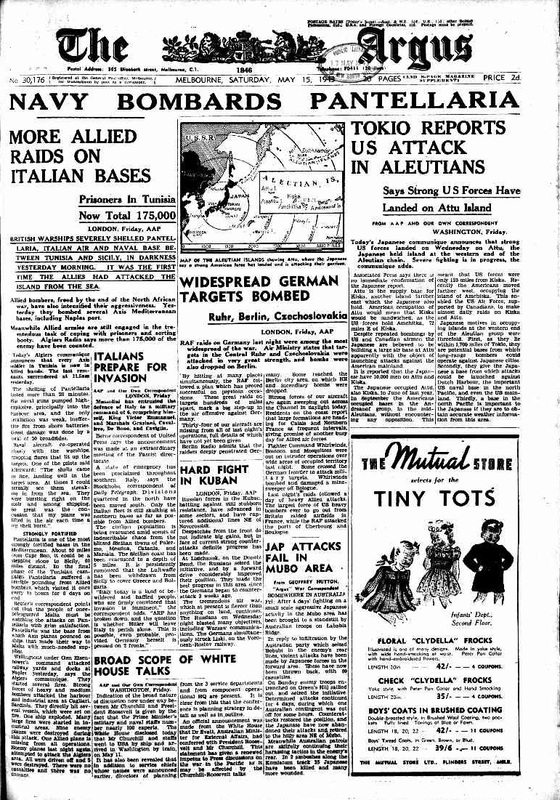 A 1946 Argus article notes the impending sale of '10 Irving rd, Toorak, the wartime home of No 1 Training Group HQ'. 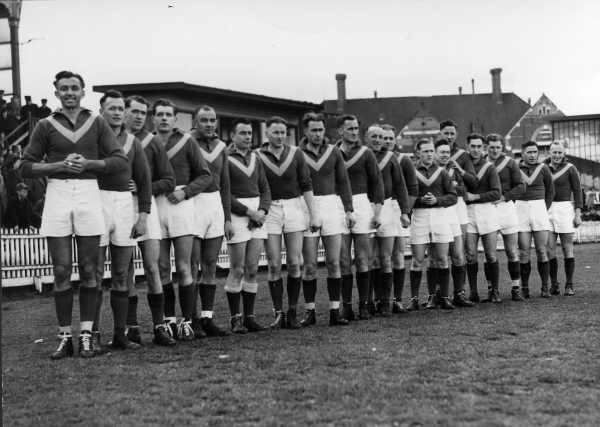 The 1943 Training Group Team was one of the strongest in the competition. 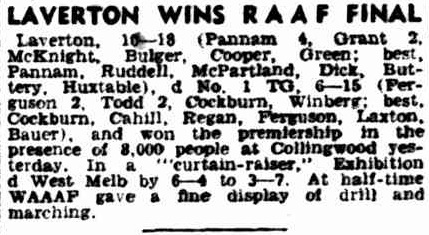 Featuring Collingwood veteran Jack Regan in defence and Williamstown (ex Collingwood) player Ron Todd at full forward. Todd kicked over 60 goals for the season and was by far the standout goal kicker of the competition. Regan played 13 games for Collingwood in 1943 but Todd only played on Sundays. Todd had controversially left Collingwood for Williamstown without a clearance (for more money) and in 1943 the VFA competition was in recess. Todd kicked 999 goals in a long career at Collingwood and Williamstown, with an overall average of 4.6 goals per game (4.3 for his VFL period), putting him in the top 10 (7th) in the AFL/VFL's records of goals per game. Jason Dunstall's Average of 4.66 goals per game is in fourth position. 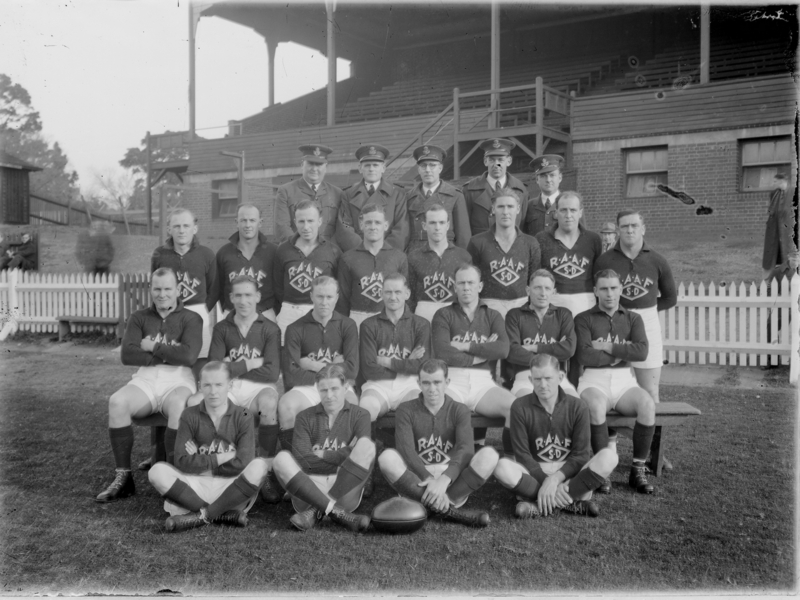 Other more unusual surnames on the team match players in the combined Services team, meaning that other likely players are Laurie Cahill (South Adelaide , Richmond), Jack Cockburn (Essendon), Don Bauer (Footscray). In the Grand Final, Ascotvale featured a player named Hillard for the first time. For the rest of the season Hillard played for Training. This is probably Norm Hillard who played 126 games for Hawthord and Fitzroy between 1933 and 1946. If Hillard did receive a transfer to another unit, it was certainly well timed for the football team. Cleary stared for Ascotvale on top of playing 15 games for South Melbourne on Saturdays. Assumably based at the now gone airfield in Melbourne's west, Laverton fielded a strong team and ended the home and away season in first place on the ladder. A number of players on the team hard big weekends, playing VFL matches on Saturdays and RAAF games on Sundays. Alby Pannam played 15 games and kicked 40 goals for Collingwood in 1943 as well as kicking 38 goals for the Fliers in the RAAF games. Pannam was not alone; Jim Thoms played 15 matches for Footscray and Vin Brown 14 for Carlton. Jack Grant (Fitzroy, Geelong), Harry Gingell (Footscray) are possibly the Grant and Gingell from the Laverton team as both players appeared in the combined services team. At present the acronym eludes identification. Players included Hill, Moore, Kellett, Miller, Hughes and Emmett. Another player 'Cutting' is probably Arthur Cutting who appears in the Stores Division Team in other seasons. Note that the statistics presented below are incomplete. A number of games were not reported at all and additionally in the reported games, not all goal kickers were recorded. Although incomplete, the statistics provide an insight into the seasons events..
Ron Todd kicked another 18 goals in the two all-star games for the season. He kicked 11 for combined RAAF v Army and 7 for Combined Services v Essential Services. Note that 9 of the 15 games with margins over 80 points were drubbings of the bottom team, No1 Com Flt. There were two ‘all-star’ matches during the season. On June 20th an RAAF v Army game was played and on August 15th a Combined Services Team played a combined Essential Services Team at Richmond for the Keith Truscott Memorial Fund. 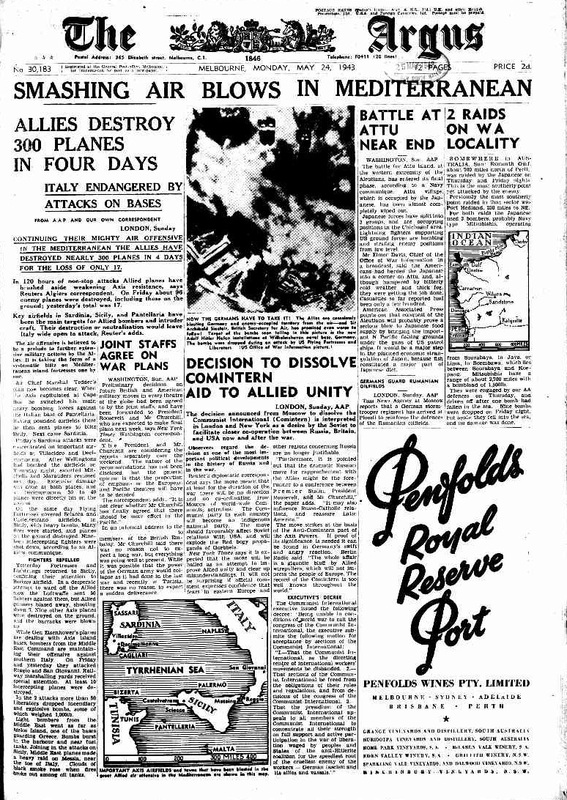 The June 20th game was hardly reported, but the August 15th Combined Services (Army, Navy, RAAF) v Combined Essential Services (Police, Fire Brigade, Rail/Tramways, Munitions, Engineering) received significant interest. Charles Boyles took a number of photos of the teams in the RAAF Competition. The lack of information about the teams and players makes it difficult to be certain about identifications.